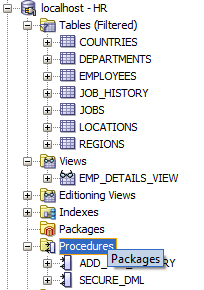 In an Oracle database there is a sample user called “HR”. This user comes with a schema which contains data which is quite convenient for demo purposes. You can use this user for tutorials / demo’s in almost all Oracle databases since the tables are all equal. Ps. I’ve posted this small tutorial mainly because it will serve as a prerequisite for other tutorials.